What a busy year it has been! Full of surprises and new experiences, as well as ups and downs - feelings every freelancer knows well. Here's a short written summary of 'new things' that happened in 2018. Super happy to announce my 'Herbarium' table textiles collection will take part in two group exhibitions of Polish design: during Budapest Design Week and Designblok in Prague. Both events in October. 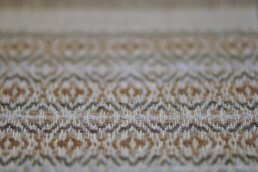 'Herbarium' (Polish 'zielnik') is Cottongrass' first collection entirely dedicated to table textiles. 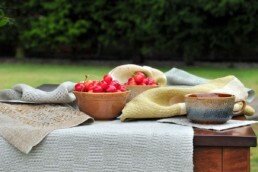 By combining various types of linen, the collection consists of towels, runners and coasters. Its' nature-inspired look is a perfect match for a slow summer breakfast in the garden. The colour palette reflects the atmosphere of summer walks in the fields and meadows. 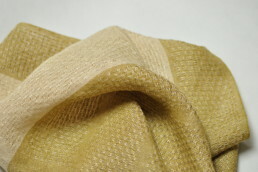 Organic textures are inspired by patterns found in buds, seeds and stems. Created with plant fibers only, 'Herbarium' is 100% vegan.